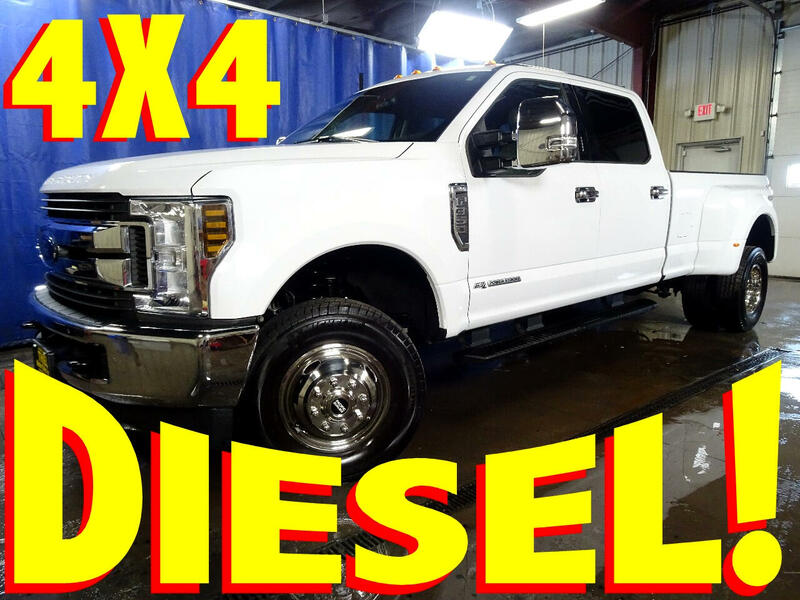 PRICE JUST REDUCED $2,000 FOR A QUICK SALE--- Here is a GREAT BUY on a 2018 FORD F-350 ((1-TON)) DUALLY ((4X4)) XLT PACKAGE ((6.7L DIESEL))) with ONLY 30K MILES!!! 100% CARFAX CERTIFIED!!! FULL BUMPER-2-BUMPER WARRANTY!!! NOT $70,000 --- NOT $60,000 ---- JUST $49,997!!! Here is a HARD-2-FIND TRUCK at a HARD-2-FIND PRICE! The BRIGHT WHITE EXTERIOR is complimented with FACTORY RUNNING BOARDS, FACTORY TINTED GLASS, CHROME HANDLES, CHROME MIRRORS, and PENDALINER BEDLINER!!! And look inside the bed; NO HOLES - NO HITCHES - and NO EXCUSES!!! The BRIGHT WHITE EXTERIOR is complimented with a LIGHT GRAY CLOTH INTERIOR that offers a TON OF OPTIONS including POWER WINDOWS, POWER DOOR LOCKS, TILT STEERING, CRUISE CONTROL, AM/FM CD, SYNC BLUETOOTH TECHNOLOGY, BACK-UP CAMERA, INTEGRATED BRAKE CONTROL, and MUCH MORE!!! This 1-TON is POWERED is by the BIG 6.7L POWER STROKE DIESEL ENGINE which is mated to and Automatic/OVERDRIVE Transmission with ELECTRONIC 4-WHEEL-DRIVE!!! And keep in mind this F-350 1-TON has TON OF FACTORY WARRANTY REMAINING!!! CALL or EMAIL to be FIRST IN LINE on this HARD--2--FIND 1-TON DUALLY!! !